Home / Blog / Hoity-Toity or Hoi Polloi? The term hoi polloi comes from the Greek and means “the many” or “the majority” and is commonly used to mean “the common people.” Generally, it carries a negative connotation. For some time, however, the term has been used to mean precisely the opposite of its definition. 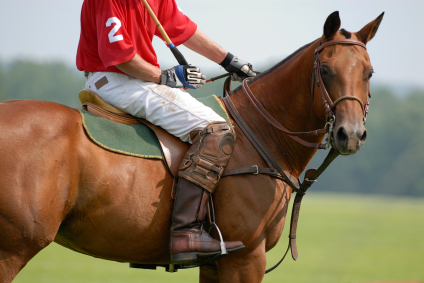 A popular TV interviewer not long ago referred to polo as a game for the hoi polloi — meaning the wealthy and elite. It’s not a recent mistake, however. In 1935, the Three Stooges released an episode titled Hoi Polloi that featured Larry, Moe, and Curly attempting to pass themselves off as members of high society. Of course, it’s possible that use was intended to be ironic, but most consider it a misuse of the expression. It’s only a guess, but maybe the misuse is due to confusion with the term hoity-toity, an adjective meaning “putting on airs, pretentious, or haughty.” The terms are similar enough and obscure enough to explain the confusion. By the way, the hoi in hoi polloi is an article, which makes the English expression the hoi polloi redundant: the the many. Still, that’s the common use. Thanks to WriteAtHome writing coach Fred Durbin for the idea for this post.